Remember when you were new to dA? How no-one paid any attention to your work, despite all the effort you put in? So do we! Thats why Mr-Gizmo & I decided to bring you this regular feature. We are now on issue 3, with the last 2 being very successful! Here you will find our top photography with little or no recognition. Our aim is to give them the exposure (pun intended) they deserve, and hopefully some of you will take the time to give them your feedback. We are a community, share your knowledge and help others improve, or just applaud them for a piece well done. Death-Chicks was founded after I decided my first club, TaintedArt (Horror & Macabre Club) didnt give me outlet I desired to explore my interest in Fetish & Alt Fashion. And so, just under 2 years ago, Death-Chick was born. We started out with only a few members but soon interest in our Club grew and our Member List swelled. We still have some of the amazing original members, and we have seen so many join and their quality of work has just astounded me. I never imagined we would EVER hit 500,000 Pageviews. I know its just a number, but dammit we deserve to show off a bit! Firstly i would talk about who, or what angels are. If someone says he looks like an angel, everyone imagines tall, tanned guy with deep blue eyes. Or if you say,he sleeps like an angel, you imagine some baby with his little hands and feet sleeping. If you talk about girl,that is like an angel, then she is probably very friendly and nice to people. So i had chosen some of your works as you tried to depict angels. I tried to choose some new pictures or not as popular. I also couldn't resist and added some that i really liked and are quite popular,so excuse me and enjoy them! Favourite genre of music: metal.sing-alongs. 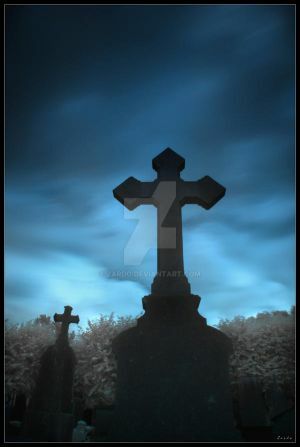 Favourite style of art: photography.digitalart. Skin of choice: Pierced.Tattooed . Favorite movies horror.comedy. Favorite bands / musical artists In Flames. Favorite gaming platform Wii.Xbox360.PC. Tools of the Trade PhotoshopCS+psp9 Other Interests art.love.music. im hoping this crazyness stays. all the great things especially, not so keen on the crazybad stuff...but at least it hasnt been boring? got in to tafe to study cert4 photoimaging at newcastle tafe hunterartschool..
but yesh im off to tafe tomorrow night for enrollment, to book in the next 2 years of my life...woo..wish me luck? hope everyone is having a good, if not, an exciting year so far...im hoping for the best so far...come on 09...is it my year? your lack of activity on this site upsets me. lets change that yes?